Corporation Laws and Cases of South Korea is the first comprehensive resource in English to address the international demand for detailed guidance for lawyers advising investors on conducting business in South Korea. South Korea’s economy ranks fifteenth in the world by nominal gross domestic product (GDP) and twelfth by purchasing power parity (PPP). Despite overpopulation and almost no natural resources, South Korea has consistently boasted one of the world’s fastest-growing economies and is now the sixth largest exporter and ninth largest importer in the world. 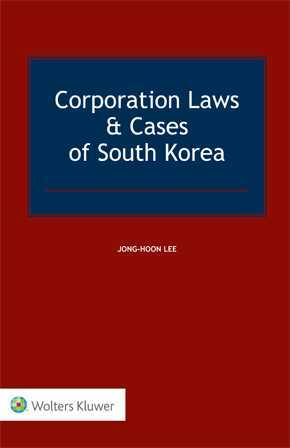 This book provides detailed information on the corporation law and its key cases in South Korea. As more and more international enterprises invest in and work with South Korea, this peerless work, with its unmatched practical information and insight into the key cases affecting South Korean corporation law, offers an in-depth explanation of the main components of the South Korean corporation law system and offers practical advice for international investors. It proves to be of immeasurable value to lawyers and in-house counsel of transnational corporations. It is also an essential volume for any academic research into matters concerned with investment in that country.